It is a common assumption that life is easier when you’re at the top. However, C-suite executives face challenges such as interpersonal conflicts, on-the-job performance, and recruitment too. 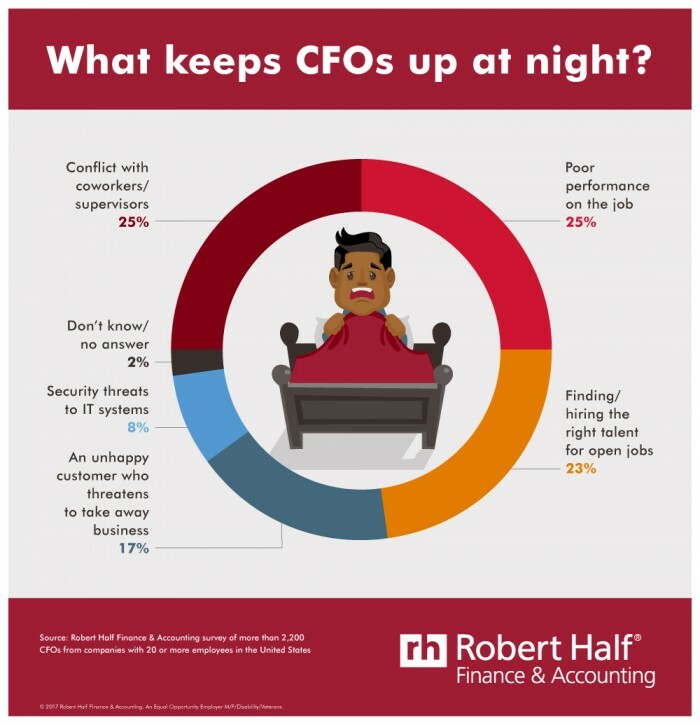 According to a new survey from Robert Half Finance & Accounting, when more than 2,200 CFOs were asked about the single work challenge that most often keeps them up at night, their top response was conflict with coworkers or supervisors, and poor performance on the job – garnering 25% of the votes each. This was followed by worrying about finding and hiring the right talent for open jobs (23%), an unhappy customer who threatens to take away business (17%), and security threats to IT systems (8%). 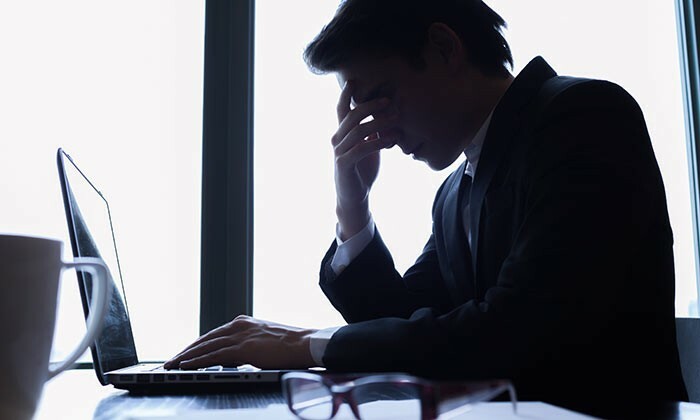 “The daily stressors CFOs face at the office often follow them home,” said Paul McDonald, senior executive director at Robert Half. In line with that, the firm offered five tips for CFOs (or anyone in the C-suite) to mitigate work challenges and sleep better at night. Workplace conflicts only get worse when ignored and avoided, it’s best to nip it in the bud. When working with people, as always, effective communication is crucial. To avoid unnecessary stress and conflict, make the results you need to see from your staff clear, with deadlines and expected outcomes. Different people respond to varied motivational techniques, but everyone likes to hear when they’re doing a good job. Don’t hold back on genuine praise. In addition to having the necessary skill sets and fitting in with the corporate culture, great employees share a few qualities, including a can-do attitude, right-sized ego and sense of humor. Periodically refresh your recruiting plan to ensure you’re attracting the right people. Finding skilled professionals when you need them can be stressful. But if you nurture a talent pipeline year-round, you’ll be better equipped for the future.